Adelaide is a dress that comes just below the knee with a knife pleat on each shoulder of dress front that is embellished with three decorative buttons. The dress back has an inverted box pleat at center back. The dress back opening is sewn under this pleat. 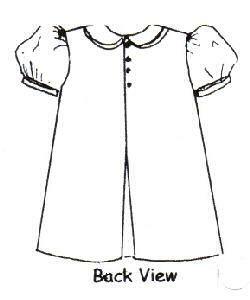 Neckline is finished with a piped Peter Pan collar. 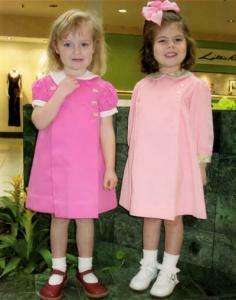 Adelaide has short puffed sleeves finished with piping and a barrel sleeve band. 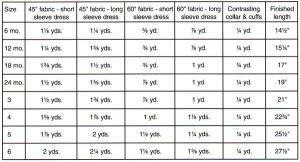 A long sleeve is also included that has a cuff trimmed with piping.